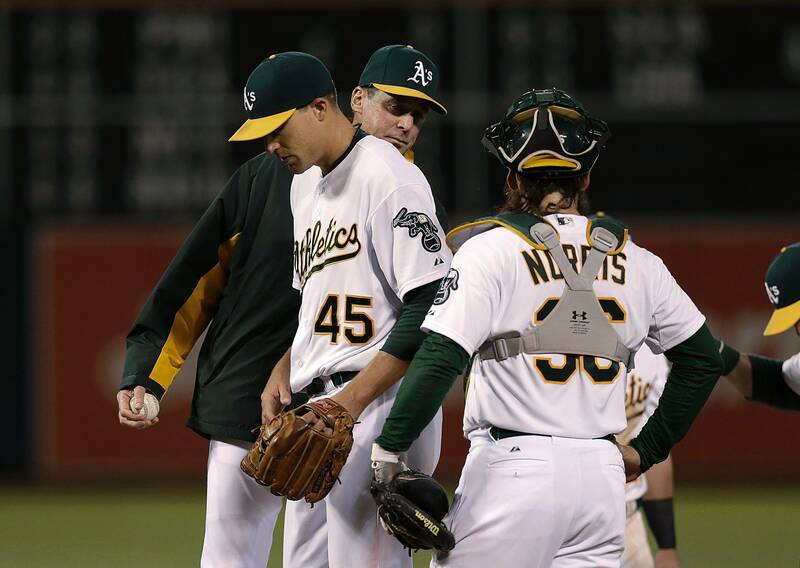 Was it wrong for Athletics fans to boo Jim Johnson after another poor outing? On opening day, Johnson came into a scoreless game and gave up two runs in the 9th inning and the A’s would lose that game. He was booed after recording the third out of the inning. Last night, Johnson came into the 9th inning with a 4-3 lead but ended up blowing the save, allowing three runs to score. When he was removed from the game, the Athletics fans booed him mercilessly. In his first two appearances with his new club, Johnson has lost both games and his ERA is at 45.00. Jim Johnson was booed off the field on Wednesday night. Was it justified for the fans to boo Johnson after only two poor appearances? The easy answer would be “no” because it’s still early in the year and Johnson is a good pitcher. He’s recorded 101 saves in the previous two seasons before joining the Athletics. You would expect him to get out of the early funk. But then again, he’s coming to replace the fan favorite Grant Balfour. Johnson is making $10 million this season, which is a sixth of the team’s payroll. The expectations are very high for this team and for Johnson. I was at the game for his debut and I heard the boos. I didn’t boo him, but I didn’t feel that the fans were wrong in booing him. Johnson did nothing in his blown save appearance to warrant cheers. The booing was justified. However, booing a player on your own team is pretty harsh. It reflects poorly on the fanbase. The fans should support the players through the tough times as well. It’s a tough situation. Johnson is not living up to the high expectations. But fans should not be that unsupportive of him, especially this early in the year. I don’t think booing him was wrong, but it shouldn’t have happened. This entry was posted in MLB, Oakland Athletics and tagged Booing, Fan Behavior, Jim Johnson. Bookmark the permalink.